[19:40] <+Dirk> So, I’m Dirk Vandereyken, I’ve been writing since I was 11. My first book was released when I was 14 – got my hometown’s medal for that one. I’ve been roleplaying since I was 9 and I got to know ‘Iron Sky’ as a PR consultant. I did PR for the movie and when I met the film team at the Cannes Film Festival, doing an RPG just seemed like a natural fit. [19:41] <+Bren> Based on the movie? So Nazis on the moon? [19:45] <+Dirk> @bren: Iron Sky is a SF satire/pastiche. The first film was about Nazi’s on the Moon and doesn’t leave any ambiguity: Nazis ARE the bad guys. [19:45] <+Dirk> The second film is going to be set 25 years after the first one ends and reveals there’s a reptilian race hiding in the bowels of the Earth. They’re shapechangers and they’re kinda bad. [19:45] <+Dirk> We’ll be releasing the RPG on the same day as the sequel is being released. 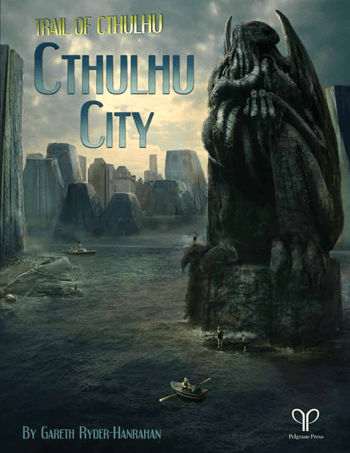 [19:36] <+GarethRH> My most recent project, and what I’m primarily here to talk about, is Cthulhu City, a new setting/campaign sourcebook for the Trail of Cthulhu rpg. [19:38] <+GarethRH> It’s set in Great Arkham, that sprawling metropolis north of Boston that you all, of course, recall from your history books. That great, old, terrible city of unnumbered crimes. 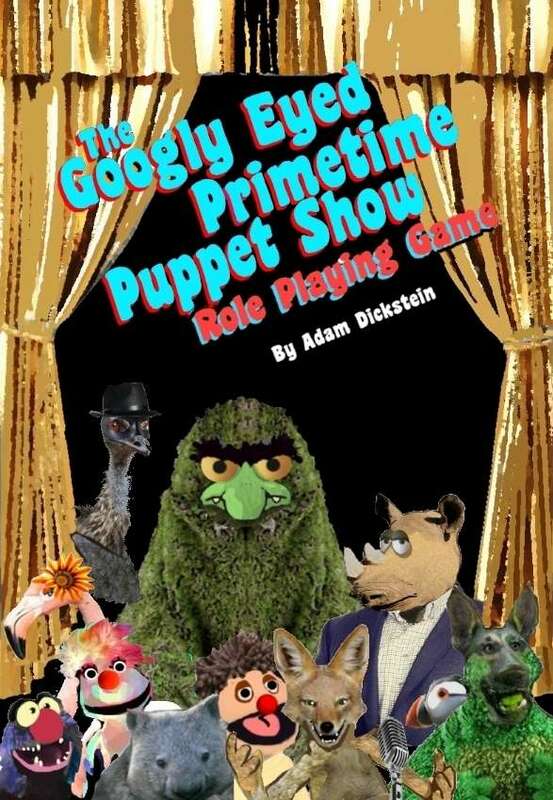 [20:33] <+AdamDickstein> My name is Adam Dickstein, and my game is called ‘The Googly Eyed Primetime Puppet Show RPG’. [20:34] <+AdamDickstein> It is a humorous, rules-lite role playing game inspired by the kind of puppets who have appeared in television shows, and movies over the years. [19:37] <+KenS> I am the co-owner of Why Not Games. After many years in the gaming industry as a writer, my wife and I decided to buy the IP to Rocket Age. 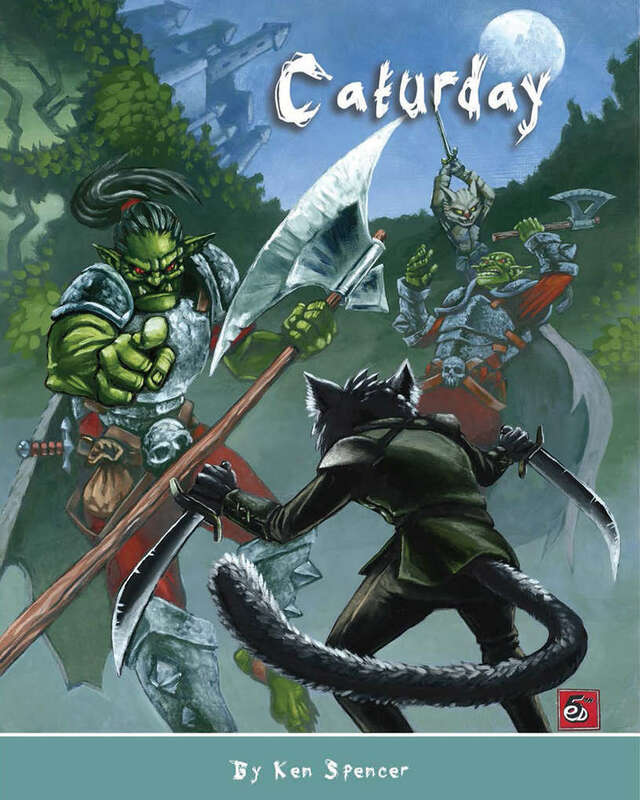 We recently launched Caturday, our team’s first in house production. [19:33] <+JohnAdamus> Hi everyone, I’m John Adamus, normally a developmental editor in the RPG industry, and I’ve worked on projects such as The Dresden Files Roleplaying Game Paranet Papers; Fate Core; Night’s Black Agents; Marvel SuperHeroic Roleplaying; Headspace; Karthun; Iron Edda, Wield … like a lot of stuff. [19:33] <+JamesVail> You play as the last survivor from your universe, and you are brought into Irkalla, the land of dust and ash, a graveyard of dead worlds that have collided into it, forming labyrinths of other dimensions. [19:34] <+JamesVail> You have to escape from one of those labyrinths, and then survive the desolate land outside. [19:37] <+JamesVail> I’ve been working on this game for the past 4 years, playtesting for the last 2, created a system for it called the Strain system, which is all about challenging the players. I’m all about the macabre and very dark aspects of art, and really enjoy challenging, unforgiving games, so I made Xas Irkalla to reflect all of that.